I’m excited for spring and all the wonderful goodness it brings. This year, I want to try all different fun Easter projects and that includes lots of egg decorating! 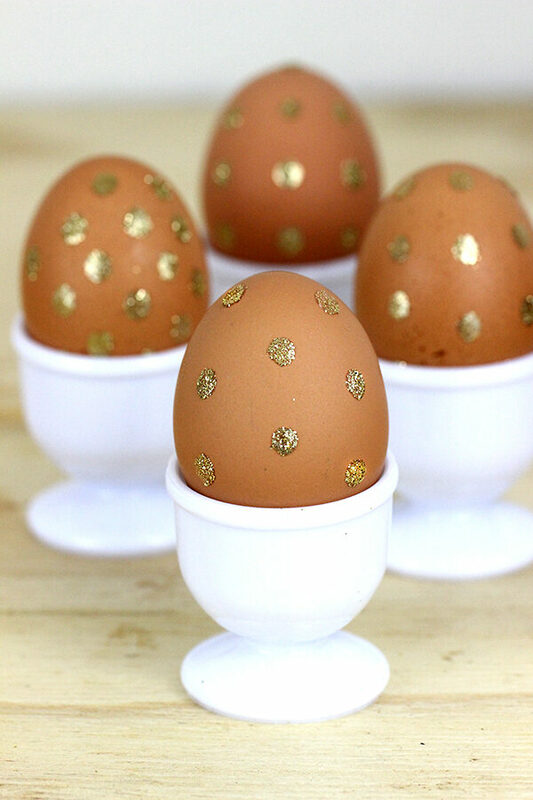 Have you seen Polka Dot Glitter Eggs using Glue Dots yet? They are cute. These easy to use glue “stick-ons” allow for some great and easy creativity. 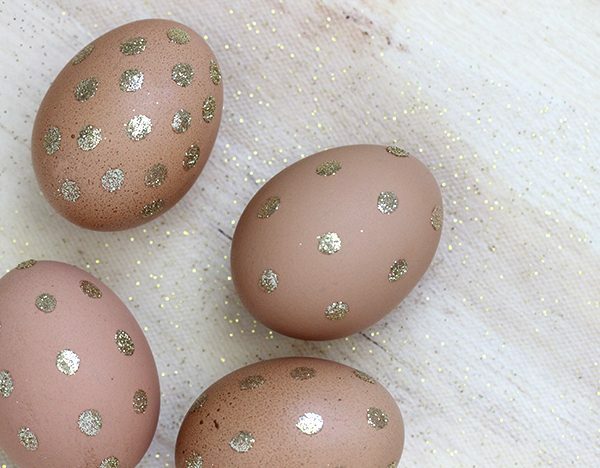 I kept thinking about using gold glitter dots on brown eggs for something a little unique. This post contains affiliate links. I’ve really been digging gold lately, it seems to be extra trendy right now because I’ve been seeing it everywhere. I’m kind of sad that I already decorated my office in white, teal peach and other shades. Gold just doesn’t fit in the mix. But, I’m working on getting some gold and bronze in the living room. That’s a work in progress! 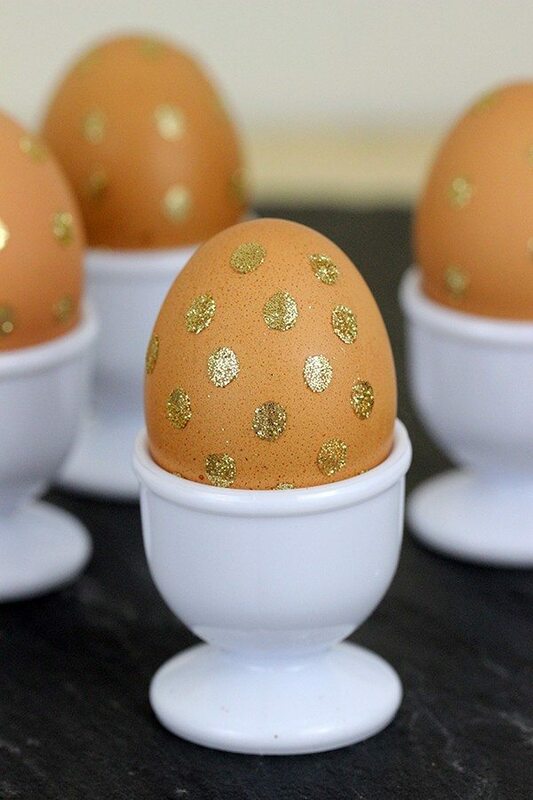 In the meantime, I’ve gotten a jump start on my gold addiction with these eggs! Glue Dots are really cool, if you haven’t used them before, I promise they’re so easy to use. They work pretty much like stickers. If your eggs are cold like mine where, I recommend keeping your finger tip on each one for a couple of seconds to ensure they stick nicely. 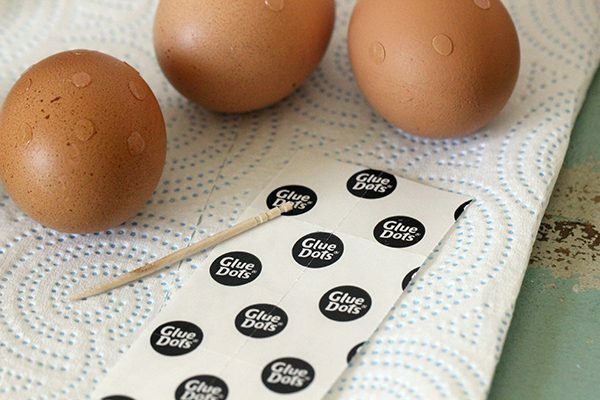 Simply stick on the Glue Dots in any pattern you would like. For some of my eggs, I chose to do straight lines of polka dots and for others, I liked the to make them uneven. I can’t decide which ones I like best. For another, I made the polka dots really close to each other too for a different look. I think they look really great all mix and match. That wraps up today’s fun! Now, I need to go clean up the big glitter mess I made *wink*. Are you planning on trying any unique Easter egg decor this year? So easy... even I can do this! I never would have thought of this! Sooo cool!! Those are gorgeous!!! They are like royal eggs, so elegant, they would make a festive centerpiece. What a cute way to decorate for Easter!! 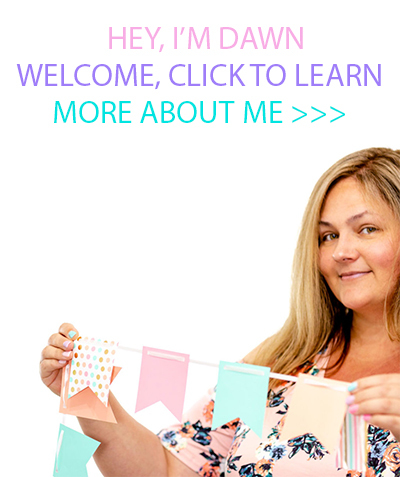 I love glue dots, but I usually use them in crafts and card making - never thought about making them the focal point like this! Love! They are very elegant looking. I think they'd be great for the holiday! These are absolutely adorable. We will have to make a few of these. How cute! I love polka does especially glitter! Very cute. These would be fun to make and very festive! 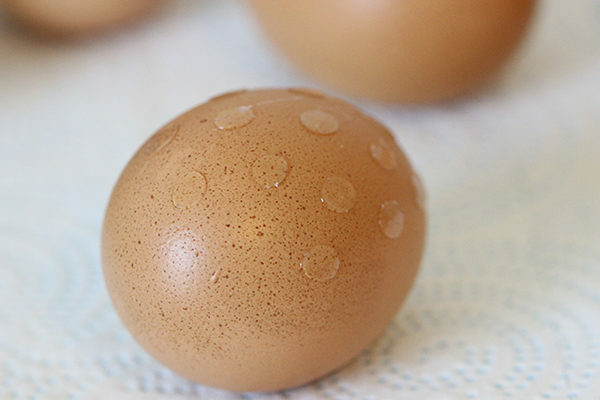 I love decorating Easter eggs and think your idea of using brown eggs and Glue Dots with glitter is awesome! The talk about gold got me looking around for something to update with gold. We have some circular vents in the ceiling for the heater that are just a blah white color. I'm going to take them down and paint them gold to add a flashy flair when anyone looks up. What a cute idea. This maybe what we do this year instead of all the colored eggs. These are really pretty. I love this ides. This is so pretty! I love the natural look. I haven;t decided what I'm doing this year... I guess I need to get on that. Those are so chic! This is totally my idea of an awesome DIY. These are so cute. Perfect for the older kids who still want to participate in the egg decorating but are too cool and sophisticated for just dying eggs. These are so upscale and fancy! I would love to have an adults only Easter egg hunt and use gorgeous eggs like these. 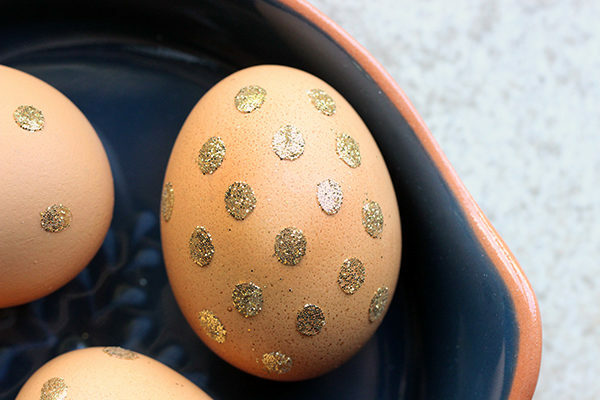 This is such a cute and simple way to decorate your eggs. I will have to try making some of these up. Ohhh, what a neat idea for Easter eggs! I have some of those Glue Dots on hand. I am going to try this, but I'll be using lots of different colored glitter to mix it up. Aww that is a really cool idea. I have to try those glue dots out. I could use them on so many projects! I need to figure out what all I am going to do for decorations this year. This is a really cool idea. So simple to make, but look so elegant! I may have to try that this year! So cute! I use those glue dots all the time with our baby books, but never thought about other applications. Cute! 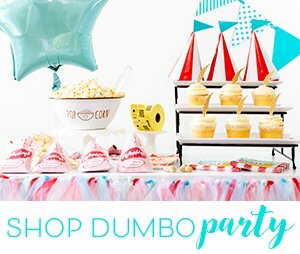 That's a super cute idea! A little dye, a little glitter, and a lot of cuteness. I love it! Such a cute and easy way to make Easter Eggs this year. I love the gold glitter dots! That is such a cute idea! I am going to have to make some of these.